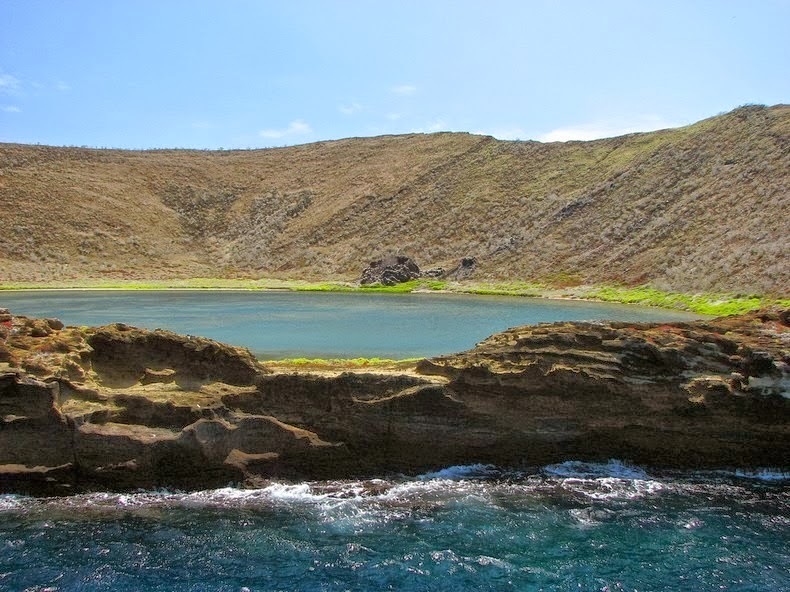 Not many people get to visit the unique and beautiful spot we call the Blue Lagoon off the coast of Isle Santiago in the Galapagos Islands. 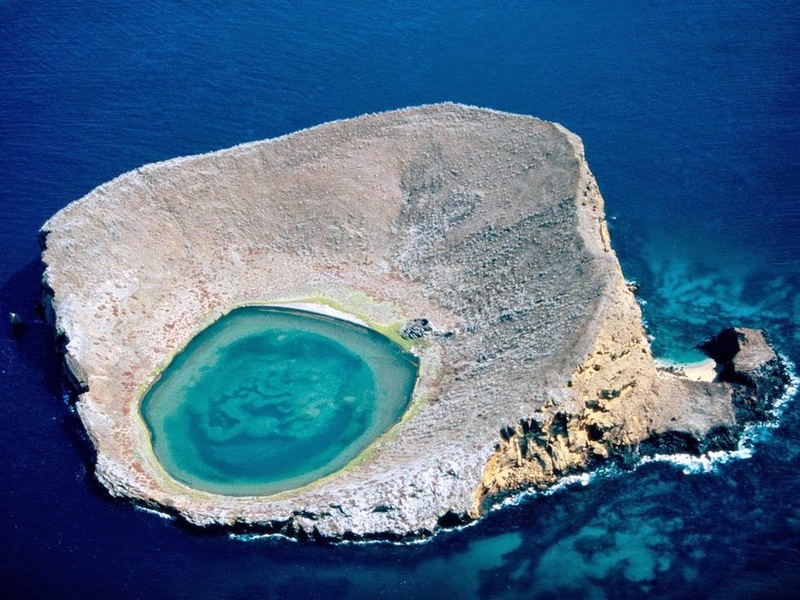 The Blue Lagoon is just one of the sites in the remote chain of small islands called Rocas Bainbridge. This is actually an amalgam of seven volcanic cones reaching out from the ocean. this shallow cones look particularly unassuming. But, come closer and beauty awaits. 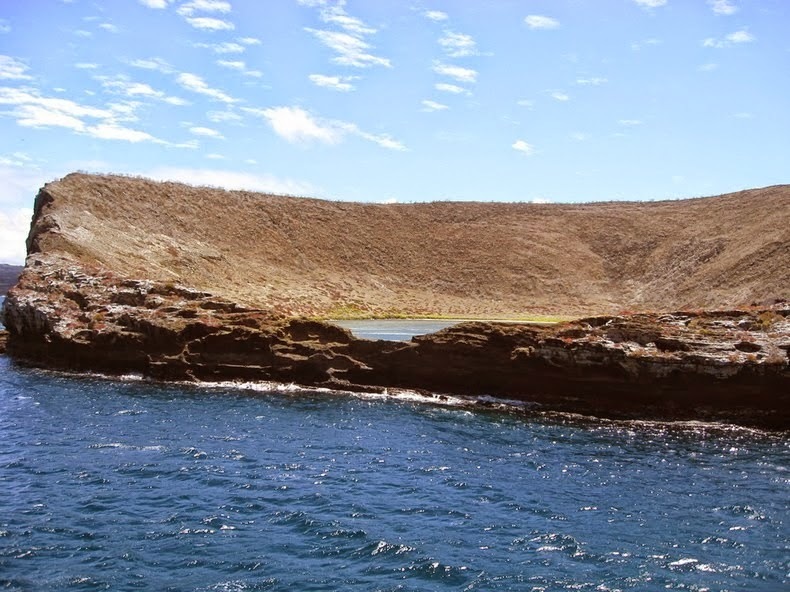 Sadly, most Galapagos visitors never get close enough to actually view their full wonder because they are not officially designated Galapagos Islands' visitor sites. This means that no ships are allowed to anchor there and no tours are allowed to walk on their various shores. But, for those scientists who visit and the few visitors who are lucky enough to pass by at the exact right moment, these islands are a treasure well worth seeing. Inside their cones there are exquisite blue lagoons like the one shown here. And, though people are not allowed, nothing stops the annual migration of flamingos. 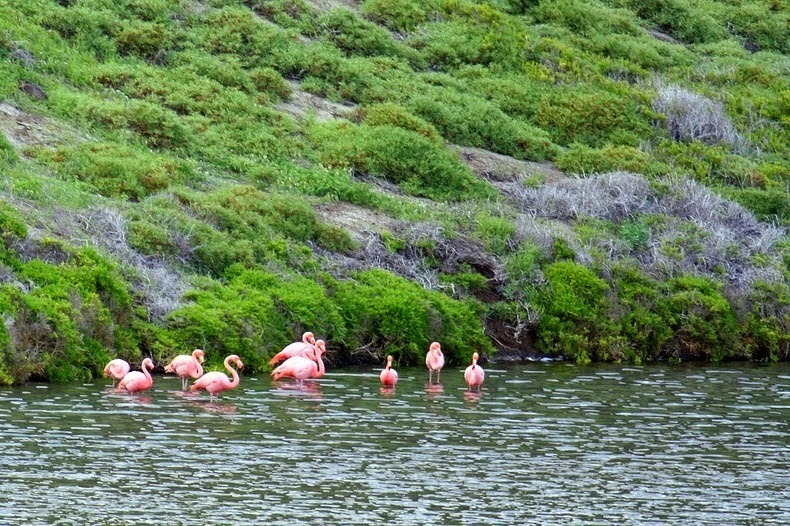 In all of Galapagos there are only about 500 flamingos so on a normal cruise around the islands, we often see none and if we are lucky, we may see three or four in select spots on Floreana, Santa Cruz and Isabela Islands. But, in Rocas Bainbridge, the flamingos flock in greater numbers. There is one other way to experience Rocas Bainbridge: scuba diving. If you are a scuba diver, you might want to look into making this special area one of your stops. The sea life here is prolific and highly representative of the Galapagos marine reserve. Keep watching my blog for more insights into the worlds that await you in the Galapagos Islands.